Violet Keppel, the elder daughter of Alice Keppel, was born at 2 Wilton Crescent, London, on 6th June 1894. Keppell was the mistress of Edward VII but it was later established that her real father was Ernest William Beckett (1856–1917), the Conservative MP for Whitby. Violet Keppel educated by a French governess and at Helen Wolff's school for girls, in Park Lane. Other pupils at the school were Vita Sackville-West and Rosamund Grosvenor. Violet described Vita as "tall for her age, gawky, dressed in what appeared to be her mother's old clothes." While at school Vita began an affair with Rosamund, who was 4 years her junior. Rosamund wrote to Vita: "Promise not to sit next to me tomorrow. It is not that I don't love you being near me, but that I cannot give my attention to the questions, I am - otherwise engrossed." Vita recorded in her diary "What a funny thing it is to love a person as I love Roddie (Rosamund)". Later she wrote: "Oh, I dare say I realized vaguely that I had no business to sleep with Rosamund, and I should certainly never have allowed anyone to find it out". Vita Sackville-West then turned her attention to Violet. They spent a great deal of time at Vita's house, Knole House, near Sevenoaks. They also went on holiday to Pisa, Milan, and Florence together in 1908. The girls lost contact for a while but when they were reunited a few years later, the relationship became even more intense. Violet wrote in her autobiography, Don't Look Round: "No one had told me that Vita had turned into a beauty. The knobs and knuckles had all disappeared. She was tall and graceful. The profund, hereditary Sackville eyes were as pools from which the morning mists had lifted. A peach might have envied her complexion. 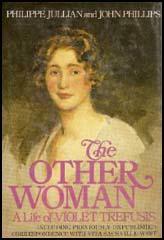 Round her revolved several enamoured young men." The love affair came to an end when Vita Sackville-West married Harold Nicholson in October 1913. Violet told her: "The upper half of your face is so pure and grave - almost childlike. And the lower half is so domineering, sensual, almost brutal - it is the most absurd contrast, and extraordinarily symbolical of your Dr Jekyll and Mr Hyde personality." Vita was briefly engaged to Lord Gerald Wellesley before he married Dorothy Ashton. She had a more serious attachment to Julian Grenfell, who was killed during the First World War. In April 1918 she resumed her affair with Vita Sackville-West. Vita later wrote: "She lay on the sofa, I sat plunged in the armchair; she took my hands, and parted my fingers to count the points as she told me why she loved me... She pulled me down until I kissed her - I had not done so for many years." The lovers travelled around Europe and collaborated on a novel, Challenge (1923), that was published in America but banned in Britain. During this period her marriage came under great pressure but as T. J. Hochstrasser points out: "However, this crisis in fact proved eventually to be the catalyst for Nicolson and Sackville-West to restructure their marriage satisfactorily so that they could both pursue a series of relationships through which they could fulfil their essentially homosexual identity while retaining a secure basis of companionship and affection." In March 1919 Violet wrote to Vita Sackville-West to explain that she was being forced to marry Denys Robert Trefusis, an officer in the Royal Horse Guards: "It is really wicked and horrible. I am losing every atom of self-respect I ever possessed. I hate myself.... I want you every second and every hour of the day, yet I am being slowly and inexorably tied to somebody else... Sometimes I am flooded by an agony of physical longing for you... a craving for your nearness and your touch. At other times I feel I should be quite content if I could only hear the sound of your voice. I try so hard to imagine your lips on mine. Never was there such a pitiful imagining.... Darling, whatever it may cost us, my mother won't be cross with you any more. I suppose this ridiculous engagement will set her mind at rest." Violet gave in to pressure from her mother, Alice Keppel and agreed to marry Trefusis on 16th June 1919. She did so on the understanding that the marriage would remain unconsummated, and she was still resolved to live with Vita Sackville-West. They resumed their affair just a few days after the wedding. The women moved to France in February 1920. However, Harold Nicholson followed them and eventually persuaded his wife to return to the family home. Violet Trefusis moved to Paris where she become the lover of Princesse Edmond de Polignac (formerly Winnaretta Singer), daughter of the inventor of the sewing machine and heir to a massive fortune. Cyril Connolly said she had "magnificent’ eyes working in close support of her smile to produce an ironical, rather mocking expression" with a voice that was "low and quite bewitching, equally at home in French and English and seldom rising above a husky murmur". She rarely saw her husband, Denys Robert Trefusis, who died of tuberculosis in 1929. 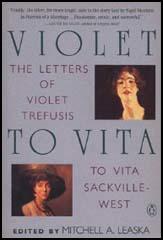 Like her lover, Vita Sackville-West, Violet began writing novels. Sortie de Secours (1929), the first of her novels in French, was about a woman who sought to make her lover jealous by seducing an older man with whom she falls in love. In the end she learns the value of independence. This was followed by Écho (1931) and Tandem (1933). Broderie Anglaise (1935) is Trefusis's response, in French, to Orlando, a novel about Vita that had been written by her new lover, Virginia Woolf. Hunt the Slipper (1937) is considered to be Violet's best book in English. Lorna Sage described it as a "splendidly malicious commentary on England, and on the aristocratic culture that she'd escaped". This was followed by Les Causes Perdues (1941), her final novel in French and Pirates at Play (1950), her last in English. In 1952 she published her memoirs, Don't Look Round. Violet Trefusis died on 1st March 1972. No one had told me that Vita (Sackville-West) had turned into a beauty. The knobs and knuckles had all disappeared. She was tall and graceful. The profund, hereditary Sackville eyes were as pools from which the morning mists had lifted. A peach might have envied her complexion. Round her revolved several enamoured young men.